I have studied wisdom in the scriptures off and on for some years. Wisdom, as she is personified female in Proverbs, intrigues me. I had forgotten, until now, that wisdom reappears here in James. And she is freely available to me, if only . . .
First of all, I think it’s important, in this case, to remind myself (and you, dear reader) that the kingdom of God is within me by the indwelling of the Holy Spirit. And yet, as big as God is, obviously, not all of God is within me either, just my share. But, as surely as that portion is within me, then my portion of wisdom is there as well. Both wisdom and the Holy Spirit are part of me, working in me to bring about my sanctification, my fullness in Christ, the light, released in totality, my actions a mirror of what is good and right, living through generosity, sacrificial letting go, and holiness. These are the kernels which I have not yet appropriated from wisdom: purity (of thought, actions, motives); loving peace more than being right; being considerate of others without judgment or obligation; submitting my way to the Holy Way; offering mercy first; manifesting the good fruit of love in action; impartiality toward those who are rich or poor, sick or well, strong or weak; and above all sincerity and authenticity, plainly in view. Wisdom is my fraternal twin who I have ignored most of my life. What prevents our closeness, our unity? Envy and selfish ambition. These are my step-sisters. They are the ones I brought into my Christ relationship years and years ago. I hid them in the closet, believing they might still be needed one day, their personalities tempered by the Presence. Instead, when they came out, they were the same. And like Cinderella’s step-sisters, they were still cruel taskmasters, who take advantage of my every situation, point out what I am lacking, what I should have, who I could be, where I could live, if only . . . They are the drum beat that never stops. They are the ones who taught me that what I have is never enough. They are the ones who encourage perfectionism. They are the ones who surround me like 360 degree mirror to show me all of my flaws and weaknesses and drive me to run faster, harder, longer. Envy, Selfish Ambition, I want you to meet my other sister, Wisdom. She is going to live here now too. She is strong and knowledgeable. She is my advocate. 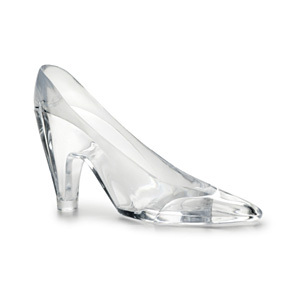 And she wants me to try on the glass slipper.